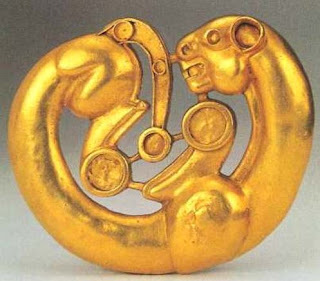 Ellen Reeder, “Scythian Art,” in Scythian Gold, N.Y.: Harry N. Abrams, 1999, p.38. 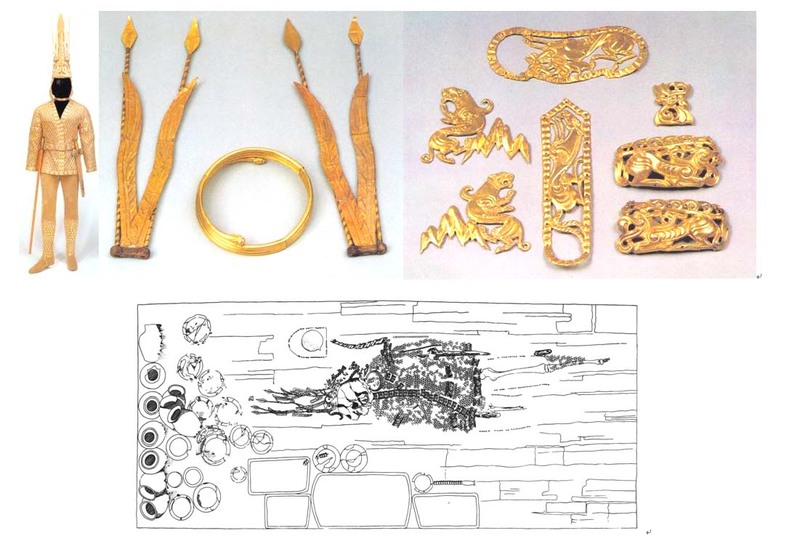 Hermann Schadt, “Greece: Cradle of Europe Art and Culture,” in Goldsmiths’ Art: 5000 Years of Jewelry and Hollowware, Stuttgart: Arnoldsche, 1996, p.32. 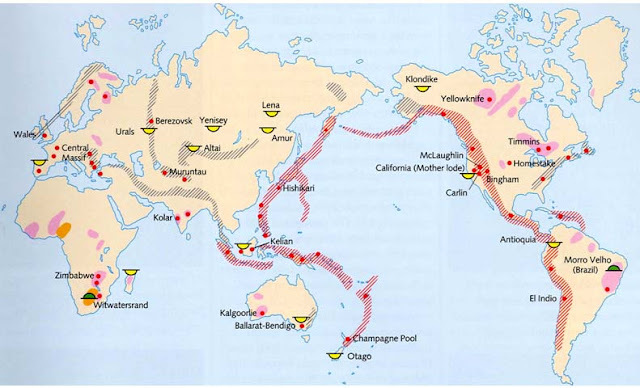 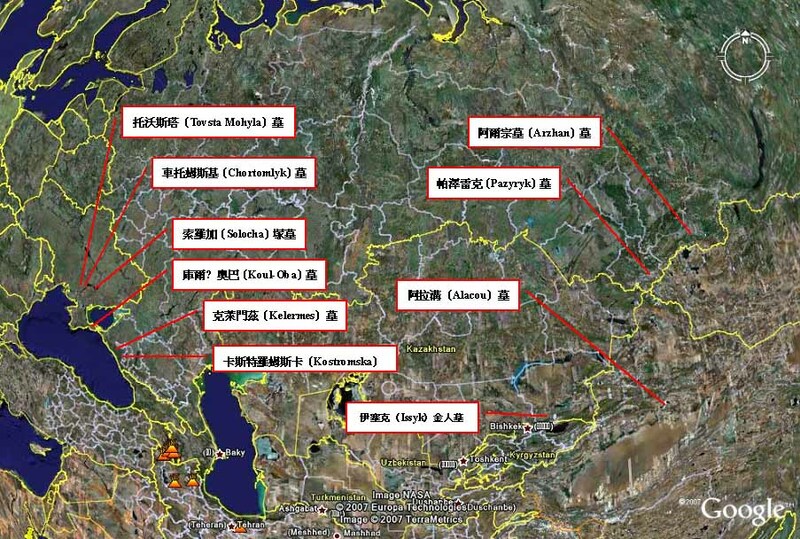 羅世平、齊東方，〈草原地區的動物藝術〉，頁109；Boris Piottrovsky, “Early Cultures of the Lands of the Scythians,” pp.24-25. 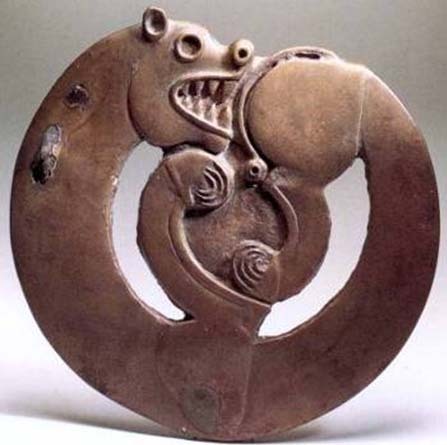 Ellen Reeder, “Scythian Art,” p.50. Julian E. Reade, “Europe and Western Asia, 1400-600B.C.,” in Seven Thousand Years of Jewellery, p.54-55. Irwin Glusker, From the Lands of the Scythians: Ancient Treasures from the Museum of the U.S.S.R.,,The Metropolitan Museum of Art, 1975, p.100. 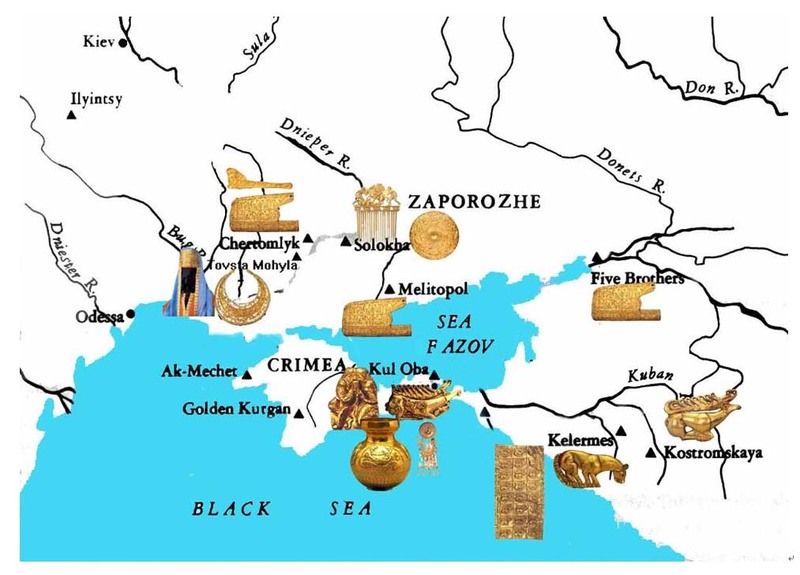 P. P. Tolochko & S. V. Polin, “Burial Mounds of the Scythian Aristocracy in the Northern Black Sea Area,” in Scythian Gold, N.Y.: Harry N. Abrams, 1999. p. 86. P. P. Tolochko & S. V. Polin, “Burial Mounds of the Scythian Aristocracy in the Northern Black Sea Area,” p. 88. 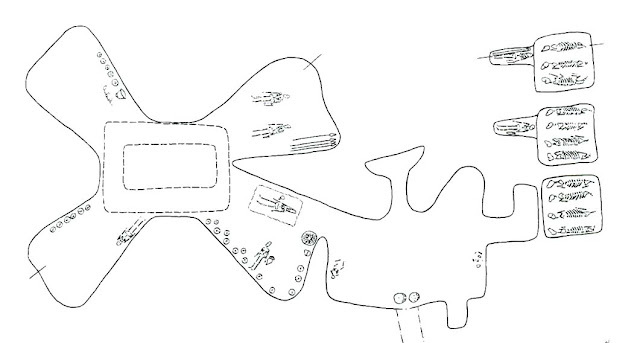 Michael Treister, “The Workshop of the Gorytos and Scabbard Overlays,” in Scythian Gold, N.Y.: Harry N. Abrams, 1999. p. 71-72. 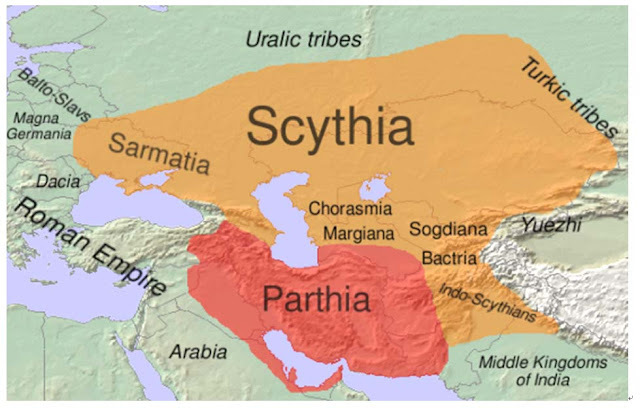 Esther Jacobson, “Early Normadic Sources for Scythian Art,” in Scythian Gold, N.Y.: Harry N. Abrams, 1999. p.60-62. 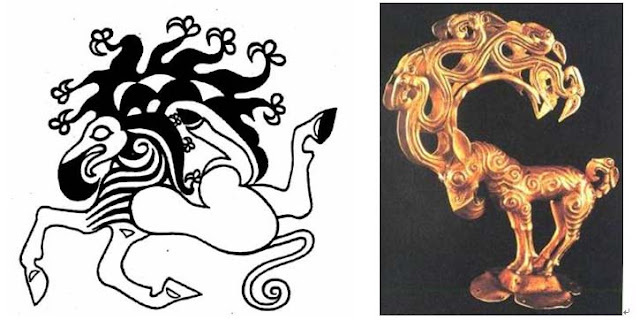 Ellen Reeder, “Scythian Art,” in Scythian Gold, N.Y.: Harry N. Abrams, 1999. p.52-53.